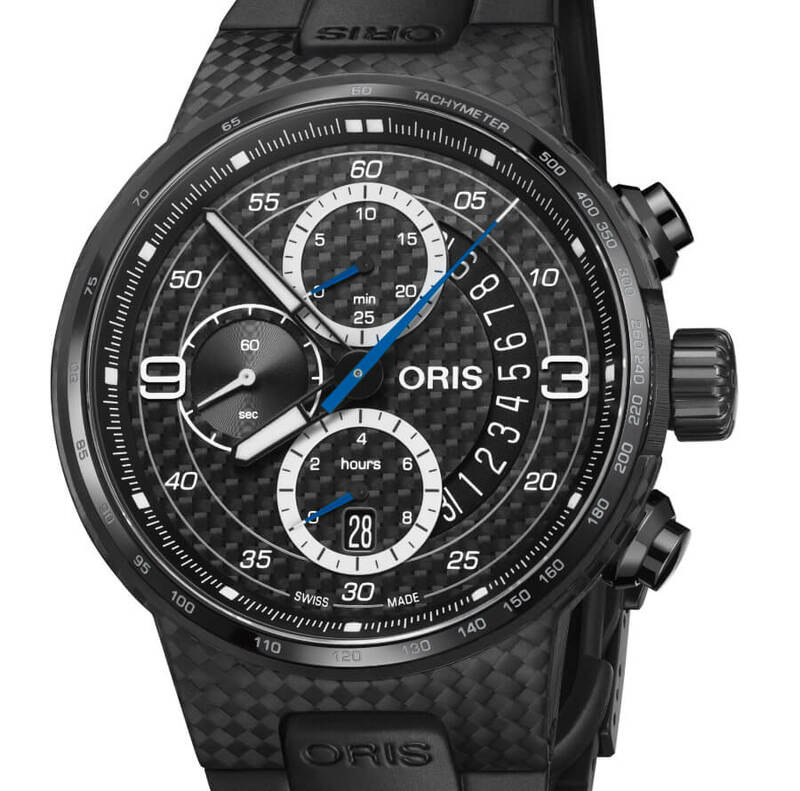 Oris and the iconic Williams Racing Formula 1 Team continue their long-standing partnership with the Oris Williams FW41 Limited Edition, a watch inspired by the 2018 Williams FW41 race car. 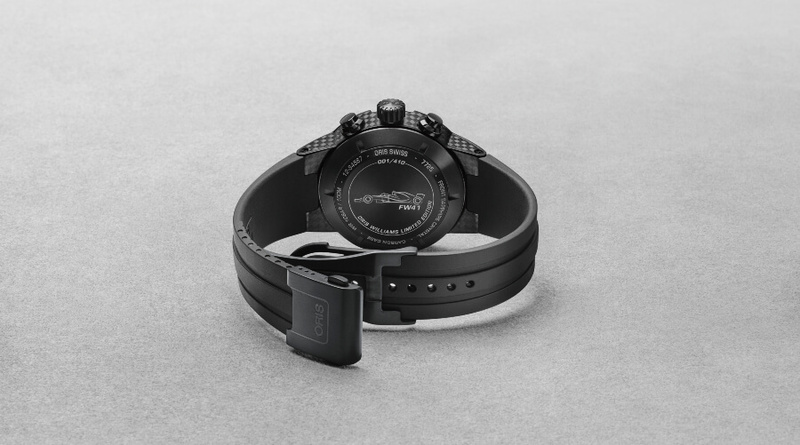 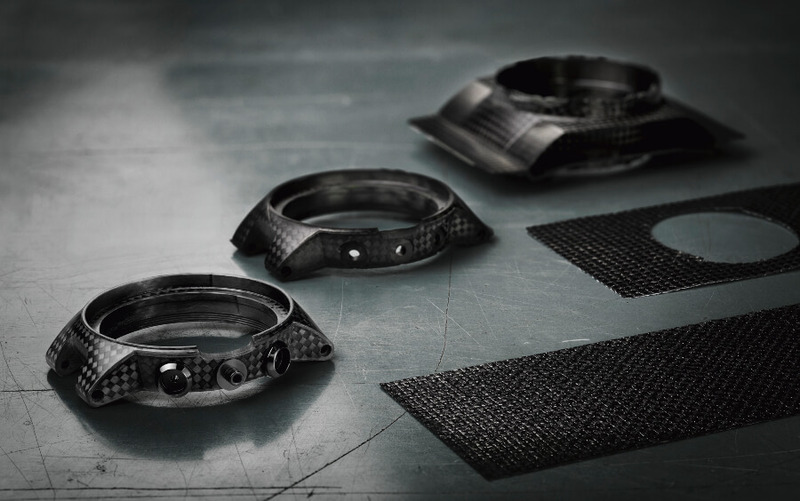 The watch’s lightweight carbon fibre case and dial are made using a technique borrowed from Williams that’s unique to watchmaking – the middle section of the case weighs just 7.2 grammes. 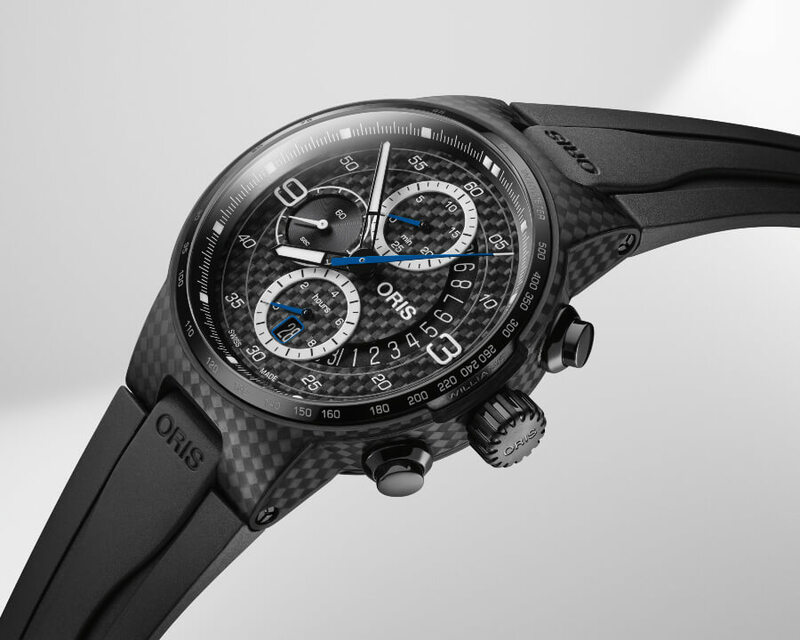 The watch’s chronograph counters are painted in the famous blue of the Williams Racing Formula 1 Team and reset to a zero point at 8 o’clock, chosen in homage to the instrument panels of historic Williams racing cars. 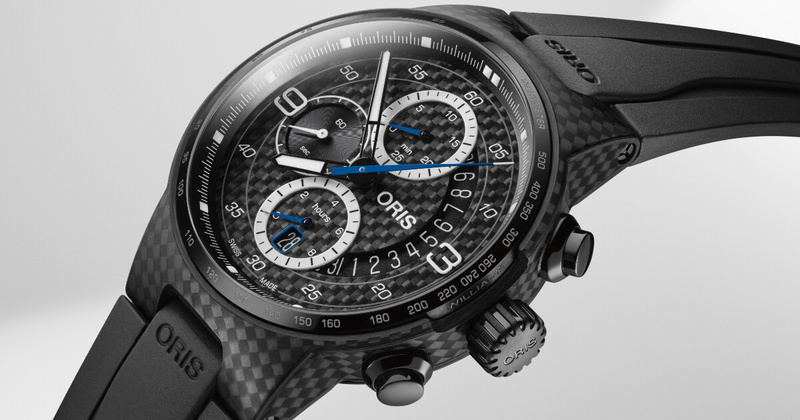 Only 410 pieces will be made, marking Williams’ 41st season in F1. 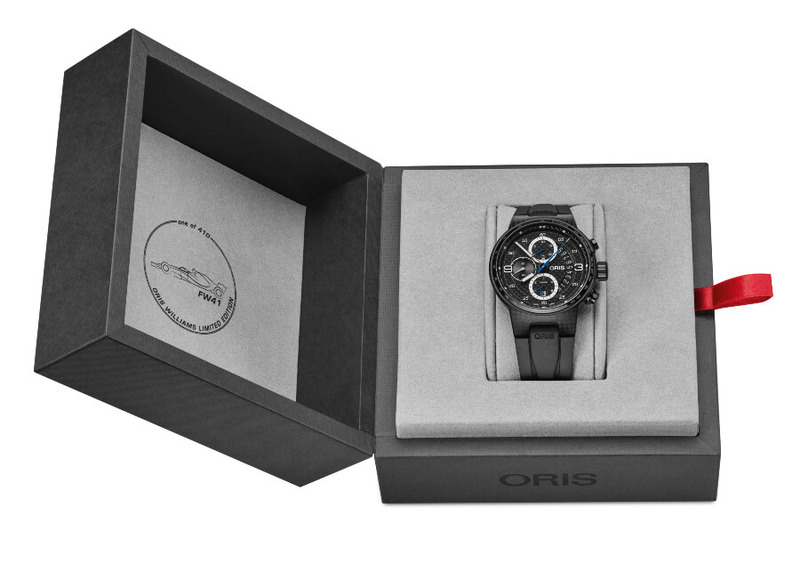 The Price for the Oris Williams FW41 Limited Edition is CHF 4,350 and is availability from September 2018.